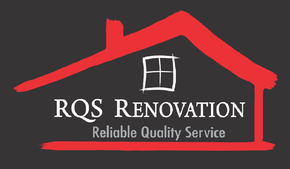 RQS Renovation is set on providing you with the best house renovation experience in the St. John’s area. This is not only evident in our reviews, but in our four-year guarantee that ensures our work is of the highest quality. To see if RQS Renovation is the right team for your renovation, call us today for a free estimate! Would you like to share your story? Please, drop us a line and let us know about your experience with RQS Renovation. "RQS Renovation did some work in my home. I am very pleased with the job that was done. They are very passionate with what they do and it shows. Will be re-calling for my next project for sure. Would recommend to anyone." "Are you looking for a reliable, professional carpenter? RQS Renovation meets and exceeds all expectations. The owner, Robert Parrell is friendly, sincere and very talented. I am super-pleased with the work he has done for me. What a pleasure to find a tradesperson who leaves your house spotlessly clean at the end of every day." "RQS Renovation did some repairs and renovations for me. Excellent work! Recommended him to all my friends. Reliable, punctual, pleasant and a tidy worker. " "I just met RQS Renovation through a friend of mine. I saw his work and liked what I saw. Well, he just completed some work for me; new ceramic tiles in the kitchen, plastering and painting in kitchen, dining room, and living room. He did an outstanding job. Very meticulous over his work, reliable and trustworthy. I would highly recommend Robert to anyone. I would not hesitate calling him in the near future. Thank you so much for a job well done."